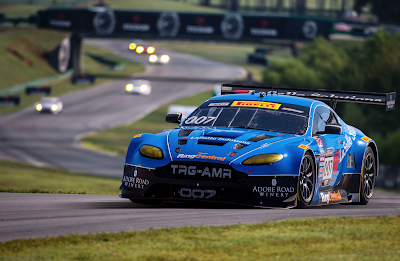 The Racers Group (TRG) returns to Pirelli World Challenge (PWC) SprintX competition this weekend at the challenging Virginia International Raceway (VIR). 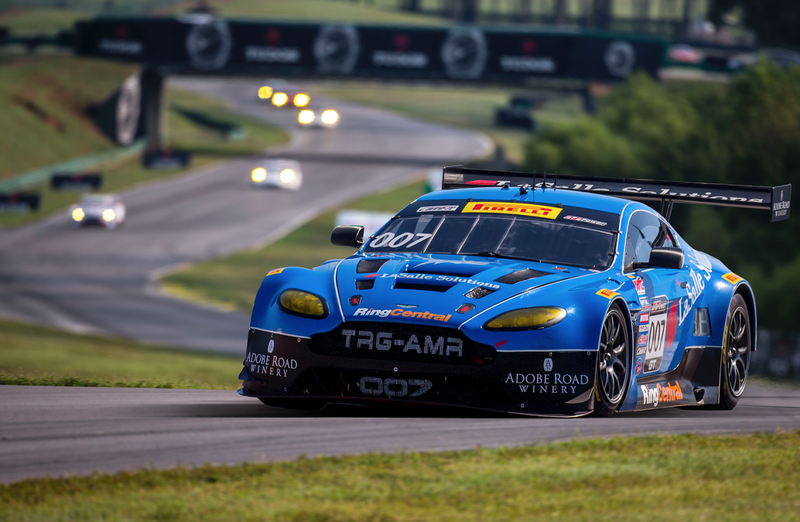 Drivers Drew Regitz and Kris Wilson are partnering to compete in the #007 LaSalle Solutions, Ring Central Aston Martin Vantage GT3 V12 and Jerry Kaufman and Kyle Tilley will be teaming up in the #09 Exterior Cleaning Professionals , LaSalle Solutions, Ring Central Aston Martin V8 Vantage GT4. All four drivers have years of experience in multiple racing series and platforms and the team is excited to support them as TRG begins defense of its 2016 PWC SprintX team championship. VIR is a track where TRG has enjoyed immense success over the years and the team is anxious to return this weekend. Drew Regitz hadn’t even sat in a race car until 2012, but he’s made up for lost time. Starting in 2013, Drew raced a seven-race schedule in PWC for TRG and he hasn’t looked back, competing in a total of 18 events to date where he’s had numerous podium finishes, including a first place finish in SprintX along with second and third place finishes in Sprint GTA. Jerry Kaufman grew up with a need for speed and a passion for motorsports. 2013 was Jerry’s first year of club racing and he was rookie of the year and garnered a national championship with BMW CCA. Fast-forward to 2016 and Kaufman had jumped to the pro level, competing in the IMSA Continental Tire Sportscar Challenge. 2017 marks his first year with TRG and he is excited to get behind the wheel of the #09 Aston Martin. Kyle Tilley is a second-generation racer with a strong history of competition racing under his belt. He spent his early years in the British Formula Ford series, where he won 11 of the series’ 12 races, nine pole positions, and 12 fastest laps. A veteran of over 70 races, Kyle has piloted a variety of cars with class wins and always aims to win. He and the team expect great things with Kyle as part of the team heading into the very competitive SprintX season.